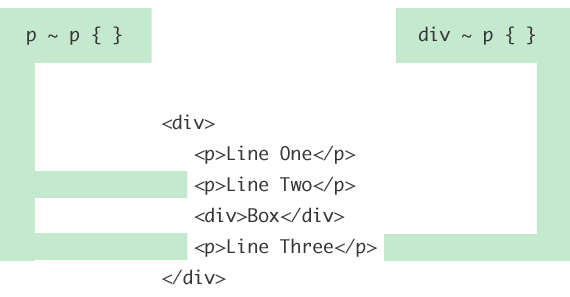 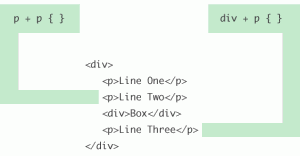 Child selector selects only one level down the markup structure, no deeper. 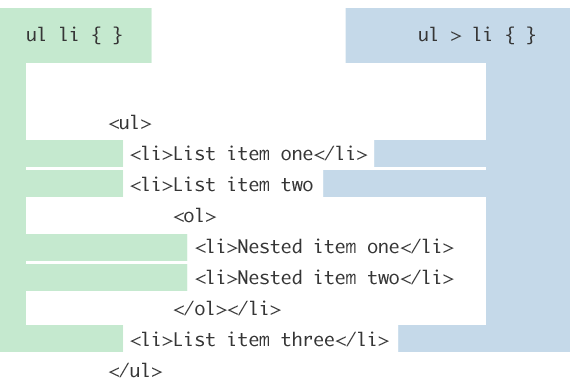 Adjacent sibling selector selects only elements that immediately follow first element. General sibling selector selects all elements that follow (doesn't need immediately succeed) the first element.